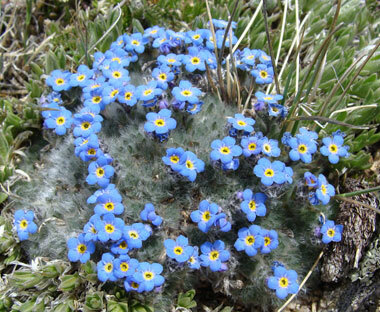 The wild native alpine forget-me-not (Myosotis alpestris), grows well throughout Alaska in open, rocky places high in the mountains. 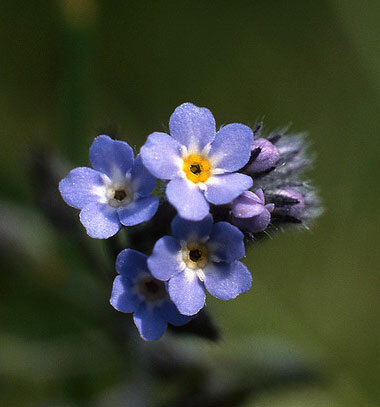 You will see the diminutive alpine forget-me-not in midsummer, and perhaps one of several other varieties in Alaska (such as mountain forget-me-nots and splendid forget-me-nots). Alpine forget-me-not; photo by Mark Sheehan on Flickr (noncommercial use permitted with attribution).